A new camera car is to be used to help enforce parking safety and protect Stockport schoolchildren. Image caption: Cllr Dean Fitzpatrick and Cllr Sheila Bailey with the new camera car. 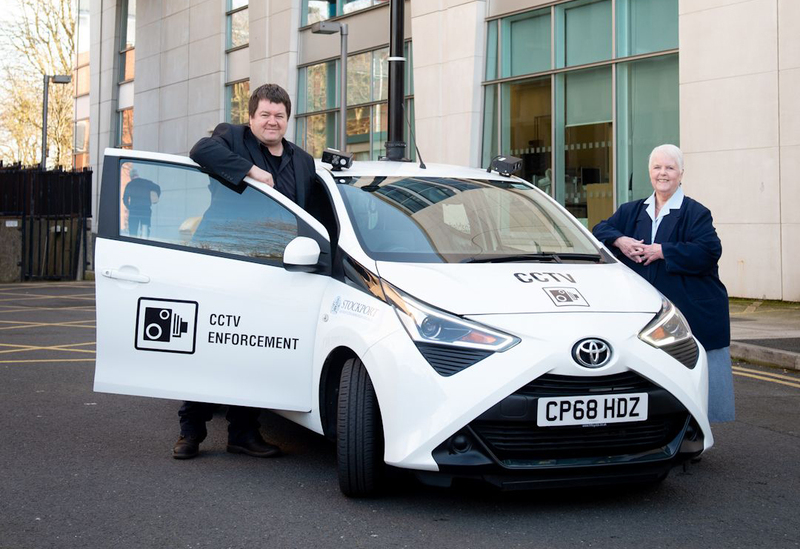 The camera car will be introduced to monitor parking in and around local schools, as well as being used in others areas affected by dangerous parking and bus lanes. This car will also act as a strong deterrent to motorists who may park irresponsibly or illegally, putting the safety of others at risk. To find out more go to the Road Safety pages.